Despite little activity at the NC General Assembly, legislators rushed to file bills ahead of Wednesday’s deadline. On Thursday, House leaders released portions of the budget in appropriation subcommittees. SB 820 Appropriations Act of 2016: A place holder bill for the budget. SB 825 Expand Hospital Disclosure Requirements: This would require not for profit hospitals to disclose charity care, patient revenues, income, and capital assets and improvements. The bill does provide funding to the Department of Health and Human Services for information technology to keep up with the reporting. Charity care is important to financial assistance. SB 841/ HB 1087 Medicaid Eligibility Timeliness/Funds: This bill would require Departments of Social Services to make a decision on a Medicaid eligibility application within 45 days unless a decision needs to be determined on disability giving 90 days for a decision to be made on the application. The bill also funds 4 new positions for Human Services Evaluator/Planner as well as three new Business System Analyst Positions. SB 851 Child Protection and Accountability Act: This bill provides funds to help transform child welfare in response to failures in the most recent Child and Family Services Review and other findings in the independent review. SB 854/HB 1107 Automatic Voter Registration/Driver’s License: This would require the Department of Motor Vehicles to offer voter registrations when someone seeks issuance or renewal of a driver’s license or NC identification card. SB 859 Pilot Project: Tablets for Inmates: This would set up a pilot program to allow adult offenders and juveniles in good standing to have access to computer tablets for continuing education, behavior modification, and rehabilitative programming. SB 863 NC Healthcare Jobs Initiative 2016: This bill would expand Medicaid and thus promote more healthcare related jobs in the state. SB 864 Increase NC Minimum Wage/COLA: This bill would raise minimum wage in NC to $12/hour and would increase state employee pay adjustments. SB 873 Access to Affordable College Ed. Act: With an increase of 72% over the last 10 years, this bill seeks to make college education more affordable. Starting in 2018, student fees would be reduced 10-25% less than the amount of the 2016 fall academic semester fees and would stay low for students that graduate within 4 years. Further, tuition would be lowered drastically at Elizabeth City State University, Fayetteville State University, Winston-Salem State University, University of North Carolina at Pembroke, and Western Carolina University. Further, the bill would establish a merit scholarship for NC Central University and N.C. A&T State University students that would fund four years of tuition, fees, room and board, textbooks, supplies, and travel. HB 1057 Funds for Literacy Coaches: This would fund literacy coaches at every elementary school. HB 1059 Prohibit Discriminatory Profiling: This would prohibit the use of discriminatory profiling by law enforcement officers and would require certain types of reporting for traffic law enforcement and reports concerning homicide. HB 1067 Long-Term Suspension and Dropout Study: Establishes the Legislative Study Commission on the connection between long term suspension and student dropout rates. HB 1073 Expand Medicaid Eligibility: This bill seeks to expand Medicaid in NC. HB 1074 Schools Test for Lead/HS Dropout Pilot Program: This bill would require schools to test for lead in drinking water outlets and establishes a high school dropout program in Hickory Public Schools, Newton-Conover City Schools, and Rutherfordton County Schools by raising the dropout age from 16 to 18. HB 1076 Restore Earned Income Tax Credit: This bill seeks to restore the Earned Income Tax Credit that was previously eliminated by the NC General Assembly. House Joint Resolution 1077 Grant Local Minimum Wage Authority: This resolution seeks to restore a provision that was eliminated under House Bill 2 and would allow local counties to set minimum wage standards. HB 1078 The Equality for All Act: This bill is in response to House Bill 2 and would restore discrimination rights. The bill would provide discrimination protections in housing, employment, money-lending, education (including charter schools), insurance and access to bathrooms based on a person’s gender identity. Other protections would include sexual orientation, veteran status, age, disability, genetic information and political affiliation. HB 1079 Up Pay/State Employees/Teachers/Retirees: This would increase pay for state employees and teachers by 4% and would adjust cost of living for retirees by 2.5%. HB 1086 Refugee Resettlement Act of 2016: This bill would allow counties to request a moratorium on refugee resettlement activities, requires local governments to hold a public hearing on the ability to settle additional refugees, and prohibits local counties from requesting the settlement of additional refugees until they have documented that they have the capacity to settle more and have held a public hearing. HB 1089 Reimburse. for State Inmates Housed & Transpor. : This bill allows for the reimbursement of local jails for housing state inmates with a sentence of 90 days or less and to increase the reimbursement rate for state inmates awaiting post-trial transfer. House Joint Resolution 1100 Living Wage by 2020: This resolution seeks for the NC General Assembly to enact legislation to raise the minimum wage and cost of living for retirees in phases by 2020. The corresponding legislation with this resolution is HB 1112. House Joint Resolution 1101 Paid Sick/Disability/Family Leave & Trust: This resolution seeks for the NC General Assembly to enact legislation requiring paid leave benefits and establishes a Trust Fund to secure those benefits. The corresponding legislation with this resolution is HB 1113. House Joint Resolution 1103 NC Equal Pay Act This resolution seeks for the NC General Assembly to enact legislation for equal pay. The corresponding legislation with this resolution is HB 1114. HB 1104 Vet’s Posttraumatic Stress/Mitigating Factor: This bill would allow for the courts to consider Post Traumatic Stress Disorder as a mitigating factor when sentencing a person who is a Veteran and provides funds for Veteran Treatment Courts. HB 1108 Hire Our Veterans Private-Public Partnership: This bill would provide an income tax credit for businesses hiring Veterans. HB 1115 Automatic Expunction/Wrongful Conviction: This legislation would require the automatic expunction of criminal records if a person is wrongfully convicted, incarcerated, or later cleared of charges. HB 1118 Provide Protections Against Discrimination: This legislation is in response to House Bill 2 and would provide protection against discrimination. On Thursday, Appropriation committees met to discuss parts of the House budget. Though no mention of state employee pay raises or cost of living adjustments for retirees was given, we anticipate the full budget to be released on Monday, May 16th. No new money was given for mental health services in jails and prisons (similar to the Governor’s budget) and many items listed below were below what the Governor gave in his budget. $550,000 in recurring funding for Project CARE (Caregiver Alternatives to Running on Empty) effective October 1, 2016, to support families acting as caregivers for family members with Alzheimer’s disease. The increased funding will provide vouchers for respite services and three additional full-time family consultants for Project CARE. Page G-9 of the proposed budget. $600,000 in funding to the Department of Health and Human Services to establish a pilot program to increase access to Food and Nutrition benefits for individuals who are dually eligible for Medicare and Medicaid through outreach and assistance with completion of the Food and Nutrition Services applications. Page G-19 of the proposed budget. More details on the Pilot program are given on page 13 of the Special Provisions document. Funds over $8 million for Child Welfare Federal Program Improvement Plan as a result of the recent Child and Family Services Review. Training will be provided to supervisors and other leadership as well as ongoing training to staff on ever-evolving issues. Page G-18 of the proposed budget. Provides $8.5 million to local health departments to adjust to new Medicaid reimbursement rates. Page G-25 of the proposed budget. Establishes the Mental Health and Substance Use Task Force Reserve Fund of $30 million. Setting this money in a reserve fund will give the Department of Health and Human Services more time to develop a detailed plan to implement recommendations of the Governor’s Task Force on Mental Health and Substance Use. Page G-30 of the proposed budget and page 24 of Special Provisions. Restores $30 million of the $152 million cut to single stream funding to LME/MCOs in 2016-2017. Page G-30 of the proposed budget and page 23 of the special provisions. Medication Assisted opioid use disorder treatment pilot program: Develops a three-year pilot program for federally qualified health centers to study the effectiveness of combining behavioral therapy with extended-release, injectable opioid antagonist. Page 20 of Special Provisions. Spends up to $25 million of the Dorothea Dix Hospital Property Funds for short-term inpatient behavioral health beds across the state. Also spends $2 million from the Fund for outpatient treatment and crisis prevention and intervention services in every LME/MCO catchment area to increase the number of facility based crisis centers. Page 26 of special provisions. May 25th: Medicaid Expansion lobby day- Register online! 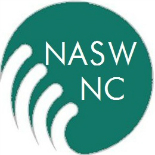 This entry was posted on May 16, 2016 by naswnc in Advocacy, Blog Posts by Topic and tagged 2016 Short Session, Advocacy, House Budget, macro social work, NASW-NC, nc social work, NC Social Work Advocacy, NC Social Workers, NCGA, NCPOL, Short Session.